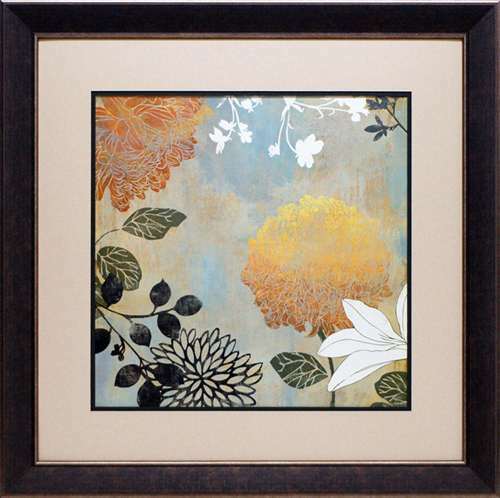 What a pretty framed floral art print! Grace Flowers II captures the magic of zinnias and other garden flowers in a fanciful fun way! This is a beautiful floral art print that will compliment any style of decor with it&apos;s lighthearted beauty!